of liberalism in the mission field in the twentieth century, however, precipitated a major crisis within the American missionary enterprise. 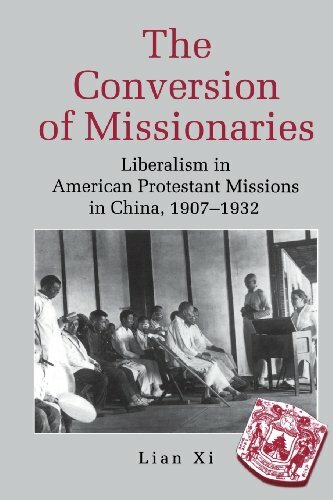 It also generated what Lian Xi calls a "reverse missionary impulse" as the liberal missionaries transmitted their own theological and cultural insights to their religious base at home. This development, he argues, became one of the chief ironies in the American Protestant efforts to penetrate and convert China. The untraditional, and often syncretic, religious and cultural views that emerged out of the missionaries' experience in the East enriched Protestant thought in America and contributed to the Modernist search for a broadened interpretation of Christianity.